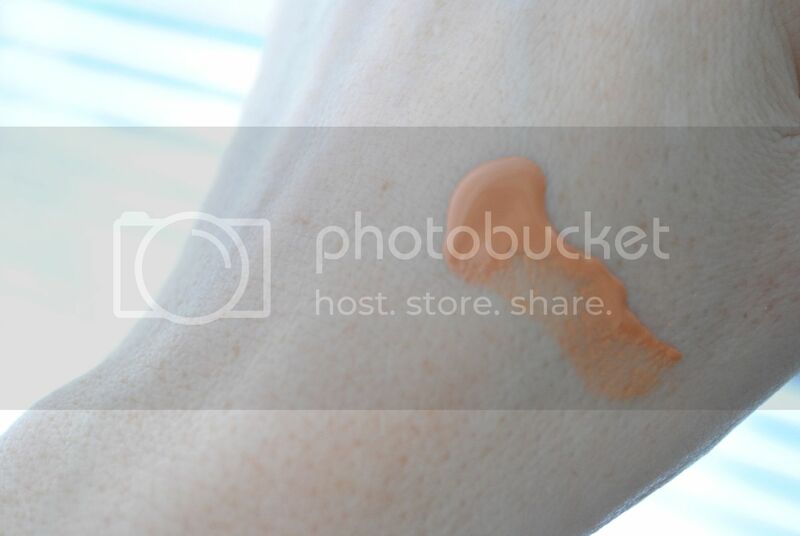 I went for the Universal Glow shade – an apricot shade that promises to boost and brighten any skin tone. It looks super orange from the tube but it actually blends in (even to my pale skin) very well. 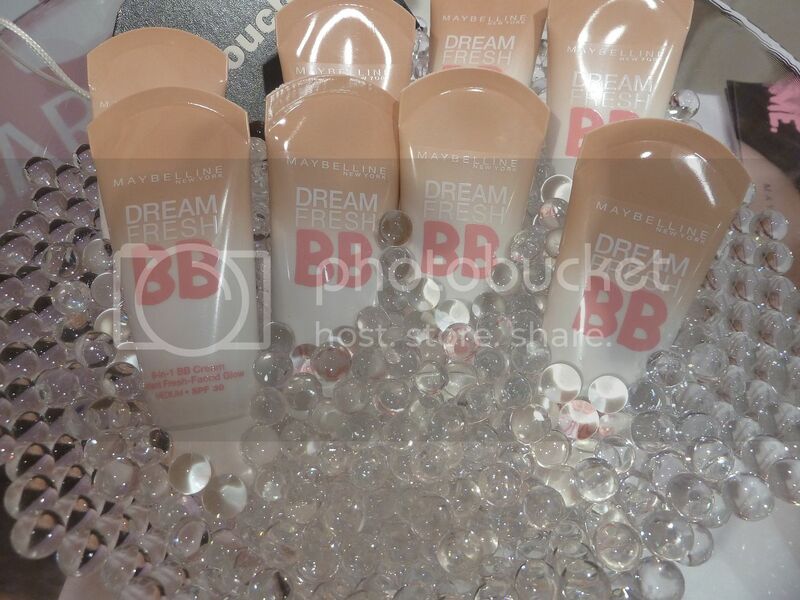 These pics show my skin with just the Maybelline Dream Fresh BB – 8-in-1 BB Cream in Universal Glow. There is no concealer, powder, bronzer or blusher. I really like the result. 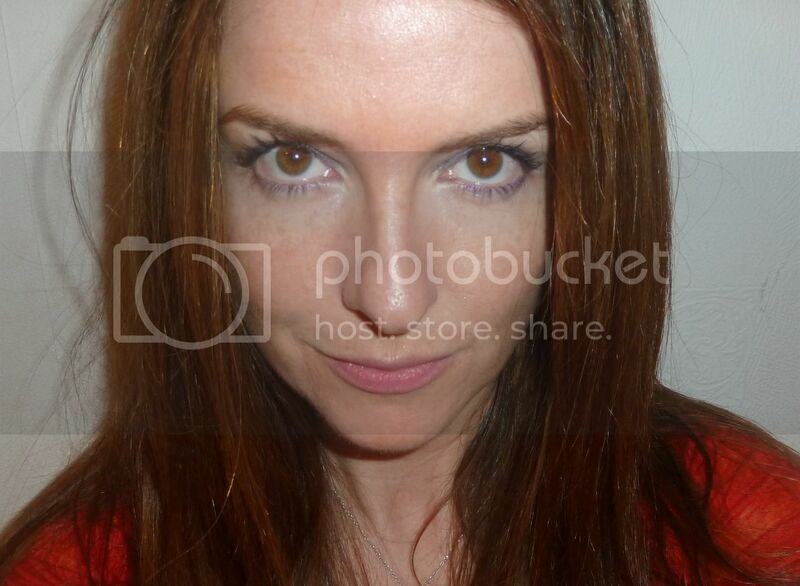 It’s a lovely natural glowy look, and it subtly adds some well needed colour to my pale skin. It does look quite orange at first, but as you blend it, it tones in well. The ease of blending is apparently thanks to its formula which combines gel with water for extra glide. I think as it has the apricot colour it’s best to start with small amounts and build up if you need more. It works well under the eye area and conceals any darkness that the translucency of the delicate skin reveals. This is great if you’re looking for a nice natural, healthy look. But I also think it would make a great primer, especially if you’re looking to add a bit of glow and also get high sun protection if you’re foundation is lacking it. I shall definitely be using this during the Summer and on my holidays. The non-oily finish and high SPF will be perfect for hot weather. Available nationwide from April RRP £7.99. I think that’s a pretty amazing price for the sun protection alone! Are you interested in BB creams? What will you be wearing on your skin this Summer? 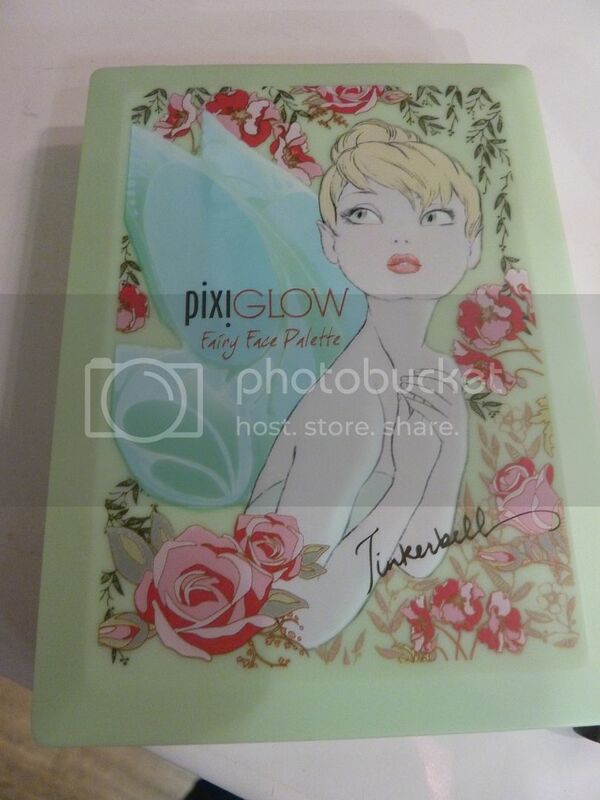 I absolutely adore Pixi makeup and Pixiglow, this gorgeously cute Disney inspired collection has not let me down one bit. The palette (£32) is so cute and I have to say I am pretty addicted to the eyeshadows right now. They are so soft and flattering with exactly the right amount of shimmer. 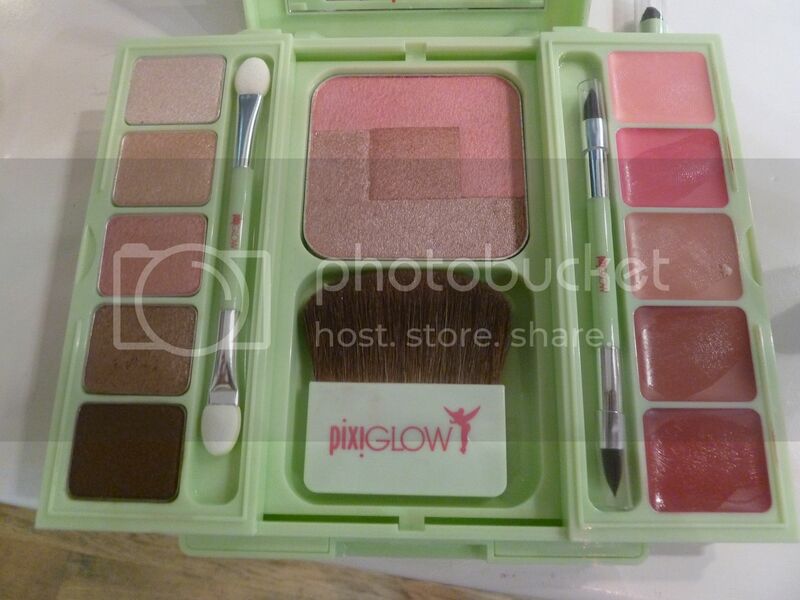 They are super buildable too, so you can go for a lovely light look or go quite smoky. The blush gives a lovely natural glow to the cheeks. I also love the Pixiglow Tinker Bell Magic Tink Tint Lip (£12) – a moisturising balm that adjust to the pH levels to create your own pink – and the Pixi Glow Tinker Bell Catching Shadows Crayon (£12) – a soft shadow pencil fabulous for highlighting. You can check out the full collection at ASOS here. It’s definitely worth a look…so much more than a pretty face!! 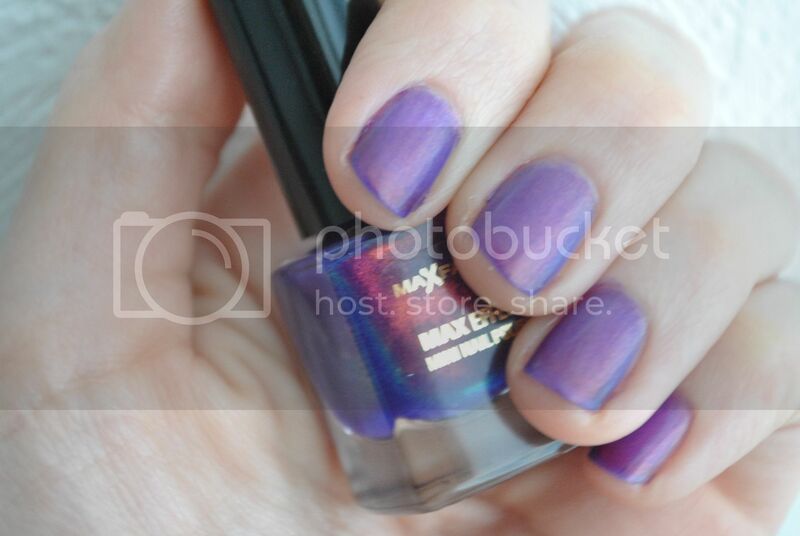 I am seriously in LOVE with this Glossy Stain from YSL – Rouge Pur Couture Vernis À Lèvres in shade16 POURPRE PREVIEW. It is a mix between a gloss, a stain and a lipstick. Exciting!! When I first looked at it, I was a tad scared because it’s such a strong shade, but I went for it and it’s so amazing it almost gives me a whole new personality!! And considering it’s quite an intense colour, it is actually really rather easy to work with. I put a first fairly thin coat on and work it on with a brush and then apply another coat on top to add intensity. For super shine I go for a third coat! It stays put really well. The first time I tried it I had an cup of tea and a sandwich and it looked untouched straight after. Yesterday I applied it and then travelled into central London for a wine tasting lesson and drank from loads of different glasses where it barely transferred. Very impressive! I also ate a tonne of Thai fishcakes and it still looked good! Sorry I don’t usually bring food and drink so heavily into makeup posts but I feel it’s relevant here! This is it after all that and approximately 6 hours of wear and me chewing my lips on the way home… I didn’t re-apply at all. I’m addicted! 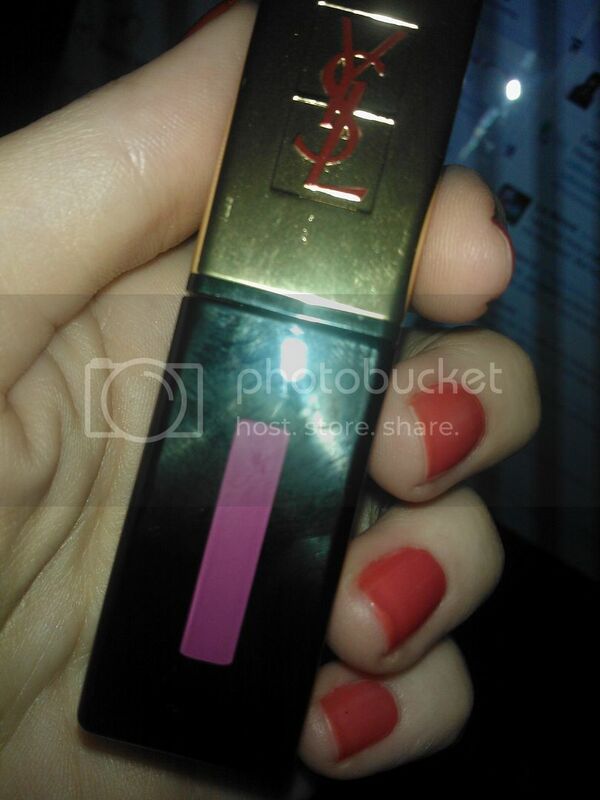 The YSL Rouge Pur Couture Vernis À Lèvres retails at RRP £22.50, go to YSLbeauty.co.uk to check them out. What do you think? Have you tried them yet? Do you like strong lip colour? 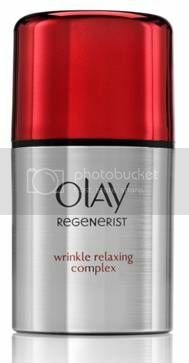 Olay Regenerist Wrinkle Relaxing Complex – Reviewed and Photographed! I got myself super excited about the Olay Regenerist Wrinkle Relaxing Complex because, well, I am obsessed with my wrinkles and the idea of relaxing them is one I am all about! However, I was even more excited about this particular product because not only does it claim to instantly reduce the appearance lines and wrinkles (in a fabbie blurry kind of way – blur is good) but also to intensely hydrate and treat the skin with a powerful cocktail of actives. The best of both worlds hey? 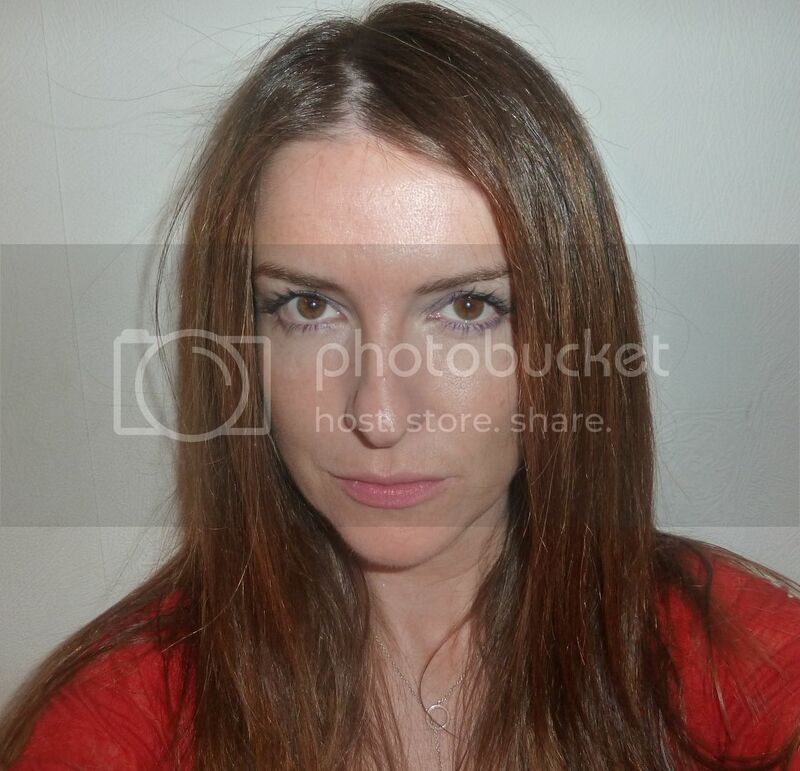 This first photo is my lightly moisturised, naked skin. 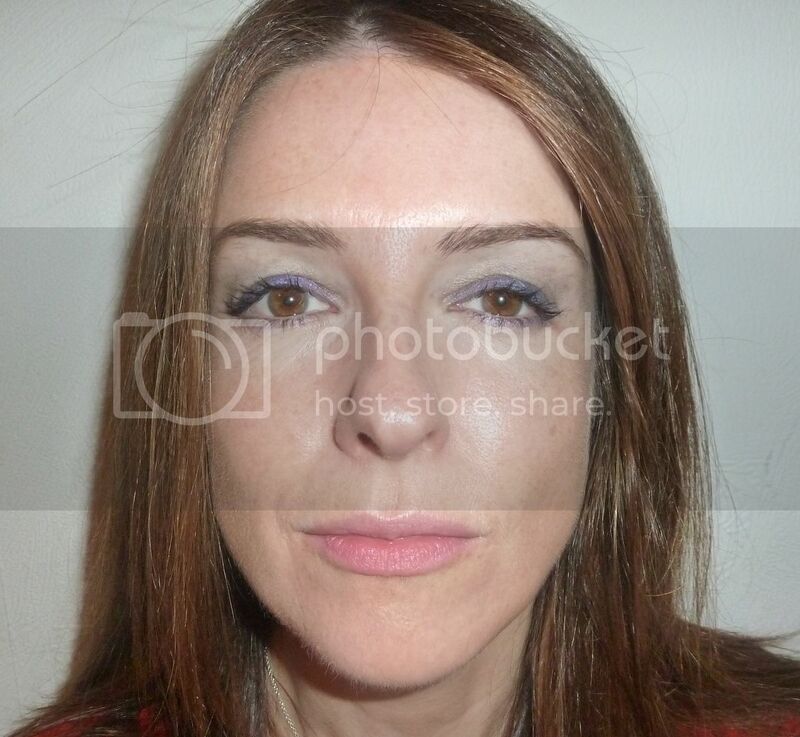 You’ll see that my wrinkles are worse on the right side of the pic and that my pores appear enlarged – hate my pores! This next photo is with the Olay Regenerist Wrinkle Relaxing Complex applied lightly and concentrated mainly on the eye area and over the skin with enlarged pores – they are not wrinkles I know, but I hate them just as much, so wanted to see what the complex could do for that! I waited a few minutes before taking this shot. 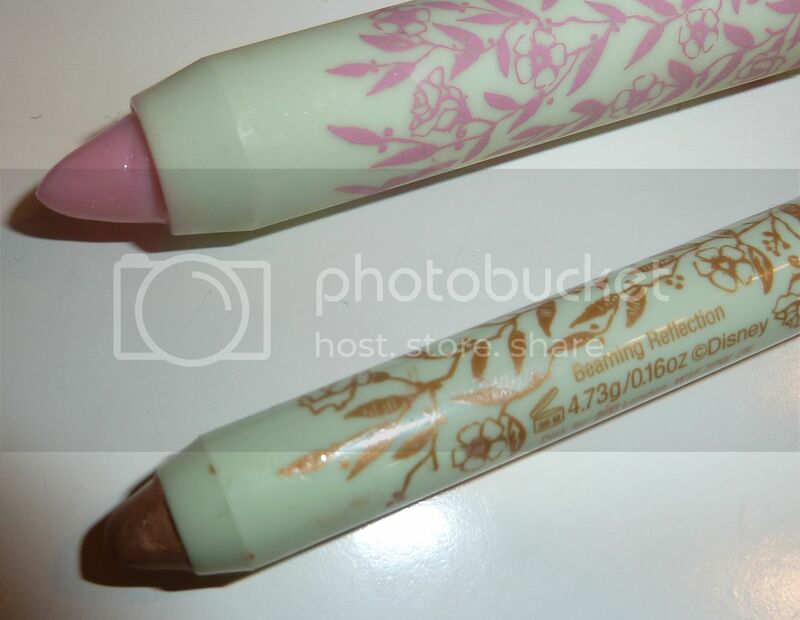 As you can see, it really really smoothed the appearance of the wrinkles and really blurs out the visible pores. I think with a bit of fake tan in the summer, I’d be happy to leave it at this and go base free! Well maybe a touch of concealer here and there! And just so you can see how it looks under foundation, here’s a snap of that too! This is one of my faves, Diorskin Forever which I really love. It works beautifully on top of the Olay Regenerist Wrinkle Relaxing Complex. Before Olay Regenerist Wrinkle Relaxing Complex , with foundation. And did you know that hydrated and supple skin is more resistant to the formation of wrinkles? I had never thought about it, but it totally makes sense. It’s not just the look of this product that I love, but that it is also working on my wrinkles and tone of my skin in the longer term, plus boosting my hydration levels and preventing new wrinkles. Yay! Olay Regenerist Wrinkle Relaxing Complex costs £29.99 and because you only use a small pump, it will last a good while. But quick!! It is currently on offer at Superdrug for £19.99, so now’s the time to try it if you’re thinking about it. I just love the 2 pronged attack – instant fix and long term treat! Fab! Have you tried this yet? What other wrinkle blurrers do you like? Absolutely in love with these gorgeous Aspinal designs made in celebration of The Queen’s Diamond Jubilee. The range which includes a tote, a box clutch, a purse, blackberry and iPhone cases and a keyring will be priced from £45 to £295 available from late April 2012 in the Brook Street and Covent Garden Stores only. 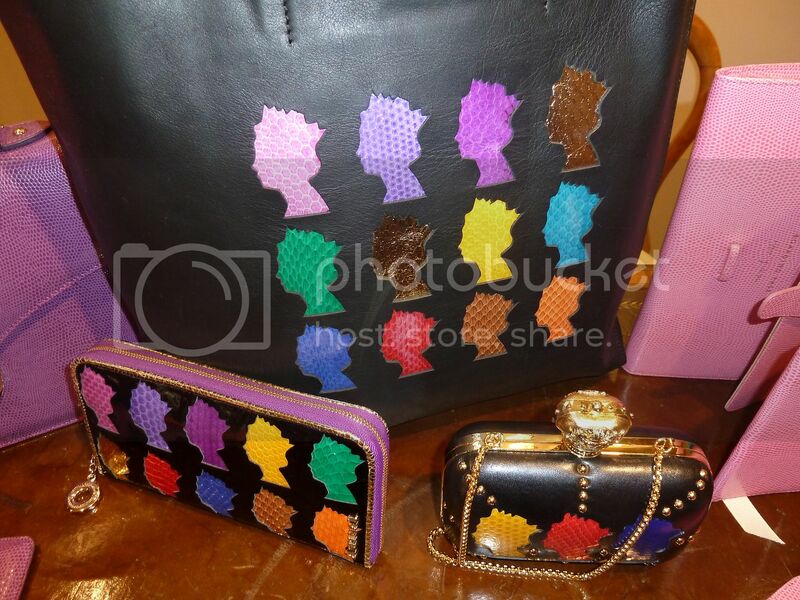 This is a very limited collection, only 50 of the clutches and 100 of each of the rest of the range. I think I might need something little!! What do you think? I wore this for a night out recently.. The top is a super bargain from Primark. I think it was £6 and it comes in a few colours. I like the way it’s sheer but not too sheer. 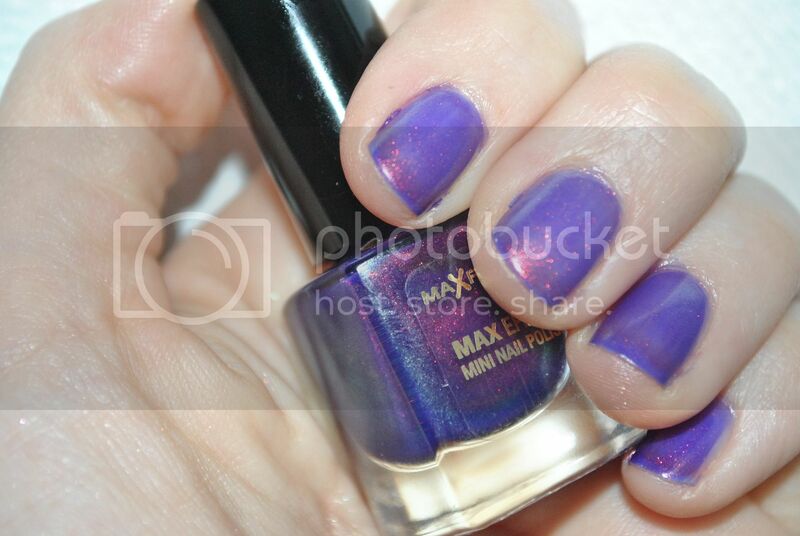 Max Factor sent over one of their cute little Max Colour Effect Mini Nail Polishes for me to try. I was quite excited about this one – Fantasy Fire – as there has been an amazing amount of buzz surrounding it. This is mainly because it’s apparently extremely similar to a now discontinued Clarins shade 230 but I am not going to pretend that I know anything about that at all!! All I know is that it’s a little beauty that has a brilliant holographic effect that turns it between 2 very pretty shades as you move your fingers. Quite hard to catch on camera but I have done my best. It’s currently a sell out nationwide but I hear there’s a large batch set to hit stores soon so…. on your marks! 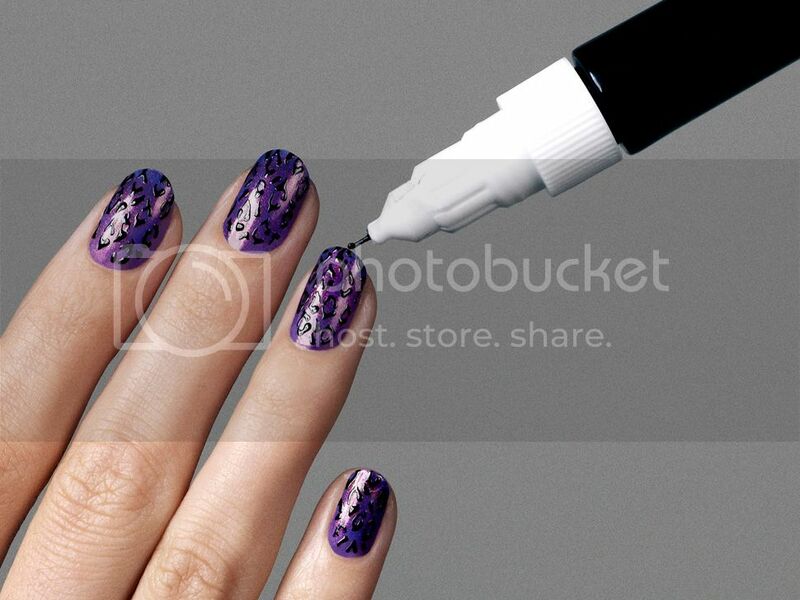 Max Factor actually sent me over a little kit to create their new nail artist, Zarra Celik’s Purple Leopard shown here. But I loved this colour on it’s own so much that I didn’t want to mess with it! As it’s quite sheer, this is 3 coats but I hear it’s fab layered over darker shades too. That’s on the list! What do you think of Fantasy Fire?